You must make bookings at least 5 minutes in advance of the time at Trinity. Trinity reopened in October 2015 with the same ethos, culture and team whilst recreating a new and refreshing backdrop - retaining its sophistication and remaining a restaurant of significance in Clapham. An alfresco dining area accommodates 16 guests, the dining room seating 50 guests that now have a clear view into an open plan kitchen with banquette seating surrounded by the soft hues of jade green and dusty heather pink. 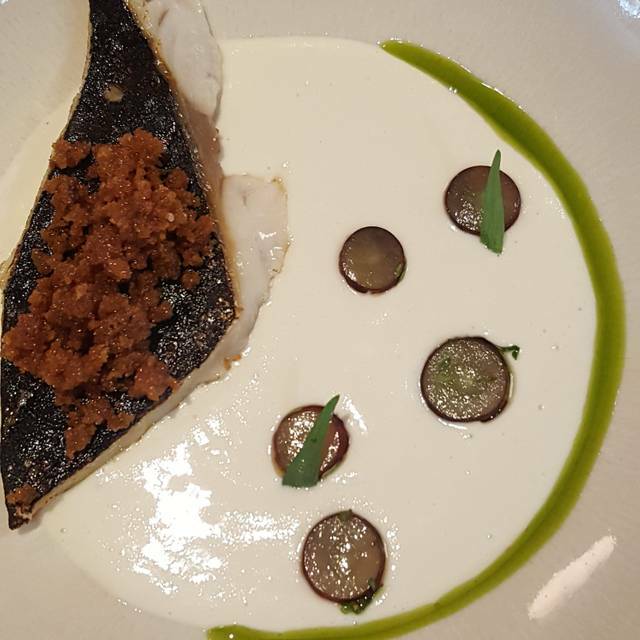 Staying true to his style of cookery, the new menu will focus on Adam’s interpretation of great classics in a relaxed and approachable setting. The kitchen presents a four course a la Carte menu of for a set price of £70. The wine list continues to offer great value with the Chef's Cellar List (just add VAT and corkage), increasing both our quantity and quality and a overall extension to the main wine list of up to 400 bins now on display in the feature wine cellar on the ground floor. The food was exceptional. Seasonal, inventive and most importantly delicious. 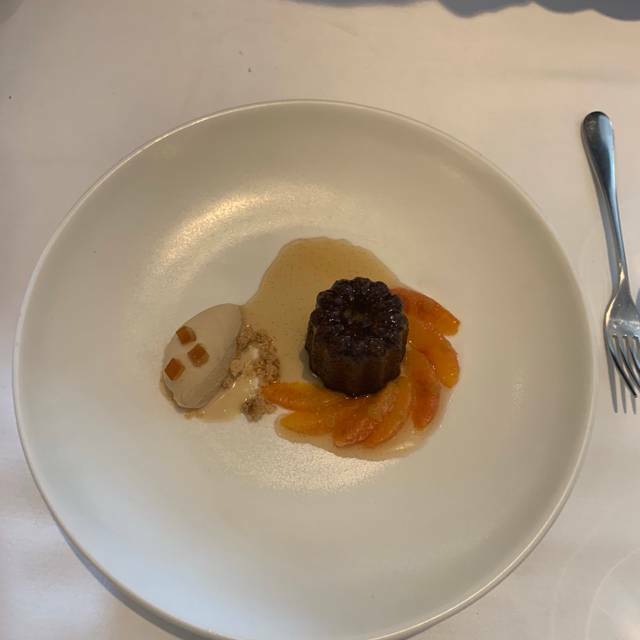 Haven’t been for a number of years but they have gone to the next level and it can only be a matter of time for the next Michelin star. It would be well deserved. Service was attentive without being intrusive. Staff are very lovely - great banter. I really loved our evening. Trinity never disappoints. The physical space and ambience is elegant, quiet, refined, yet very modern. The food is excellent. We had a wonderful evening with friends! Thank you for making our celebratory lunch so memorable, the food and service was truly exceptional, we’ll be back! Great Service, great ambience, amazing food. Had a wonderful meal here for my Mums birthday - service was lovely and food is delicious. 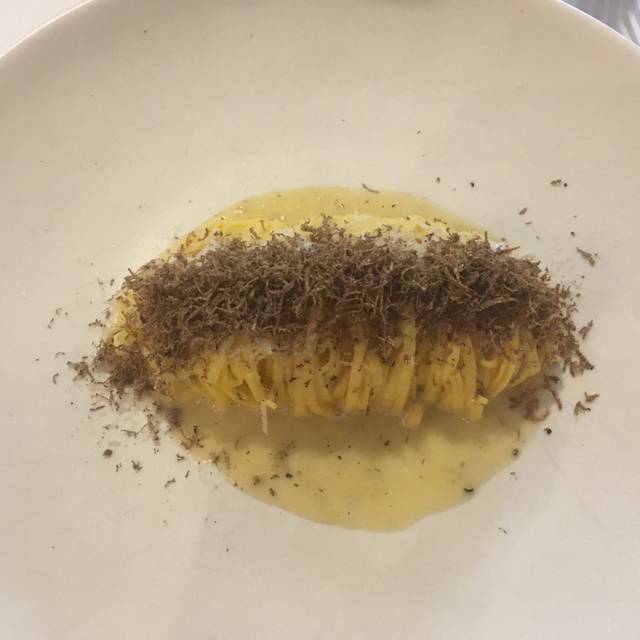 It is pricey for the area but completely what you’d expect for a restaurant of this standard - definitely a lovely treat for a special occasion. I took my sister here for a birthday lunch on a Thursday. 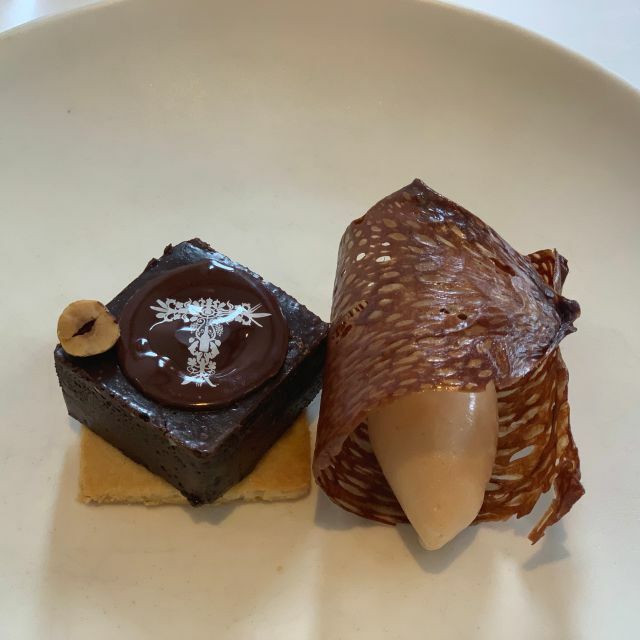 Trinity has become my favourite restaurant for celebrations as it feels special and grown-up without being over-formal. 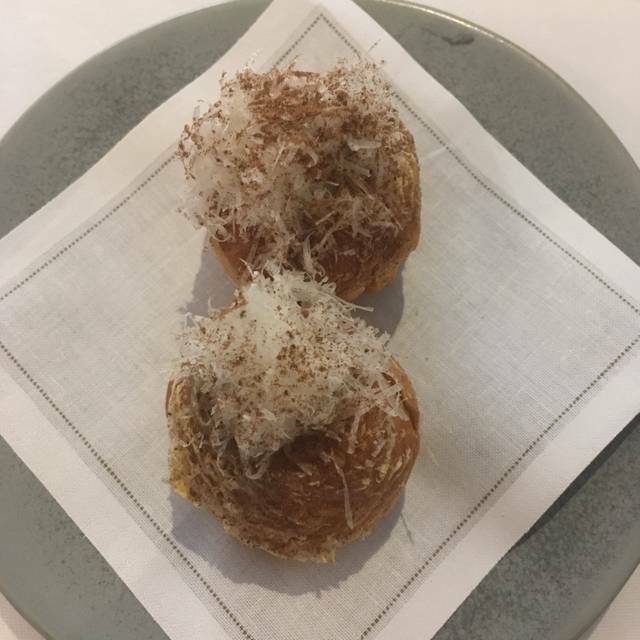 The food is exquisitely but not fussily presented with thoughtful and imaginative combinations of seasonal ingredients and the wine list is excellent. The service was perfect - warm and attentive without being overbearing. We have already recommended this restaurant to a few friends. The food was outstanding, the level of service superb and very discreet. We were a table of four people, and we could not fault anything. Well done! We have already booked to return. Extraordinary food, wine and staff! This is our favourite restaurant. I have been to Trinity a number of times over the years, more lately upstairs. I returned downstairs this week and it was better than ever. Exceptional. Amazing impromptu dinner with spectacular food and service. We were still day dreaming about it days after. Gift yourself and those you care about a wonderful experience. Amazing food and absolutely outstanding service. Really enjoyed. We are Trinity regulars and love to go for special evenings downstairs and more casual dining upstairs. This restaurant never disappoints and remains for us one of the best restaurants in which we have ever eaten . It isn’t just the superb foood, the interesting and innovative menu, the impeccable ambience and fist class wines.. it is the head chef and his staff who are just outstanding. Efficient, warm and friendly, they create a complete and perfect experiences . A gourmet theatre. Seemless service with unobtrusive yet attentive execution is always difficult but they manage it every time. The residents of Clapham and surrounds are lucky to have this jewel as a local outstanding Michelin started restaurant. My now fiancée and I visited on Sunday 31st March. I had booked via Opentable and added a note to the effect that I was planning to propose within the restaurant. Hannah and Claire from the reservations/ waiting team contacted me to confirm the requirement and collect card details. They were spot on in ensuring that the rest of the team were aware and they accommodated everything perfectly. The food was also spot on too! To complete the occasion the team also presented us with a signed card, which detailed he date and our menu choices. Great experience to cap a memorable evening! Thanks! Extremely good choice on the set menu - very good variety of ingredients and well balanced size portions. Staff were very knowledgeable about all the ingredients and were very attentive even though it was a very busy Sunday lunch service - even to the point that we had paid our bill and had left the restaurant when one of the staff members ran out to give us a bag of the petit fours that we hadn't been given when the bill arrived which was such a lovely surprise and so thoughtful of him to have bothered to come and find us too! Well worth a visit on all counts! Everything was perfect! Can’t believe this little gem is in the heart of Clapham- it’s an oasis of serenity. As ever at Trinity, unsurpassed service, food, everything. A real gem. Lovely touch to do the birthday card from all the staff too. 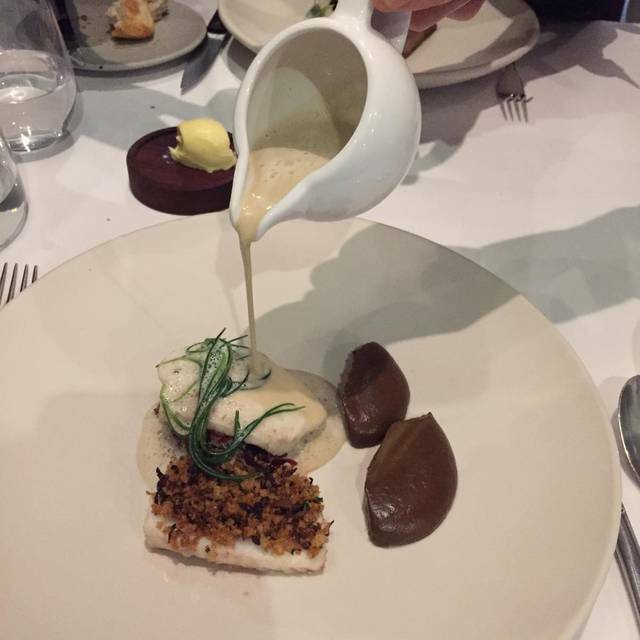 Fantastic celebratory dinner excellent beautifully presented food, a very attentive service. Brilliant we will be back. Amazing food in a very nice ambiance. The service was impeccable and you are made to feel wonderfully looked after in a very relaxed atmosphere. We went there for our 10 year aniversary and on the table was a card signed by staff members wishing us a happy aniversary-such a lovely detail! Fabulous flavours on an inventive menu. Highly recommend. Lost count of the number of times I've eaten here and every time it hits the 'happy' button. It starts with the friendly welcoming staff, followed by the delicious, innovative food, impeccably served. And it all finishes with a svelte espresso. 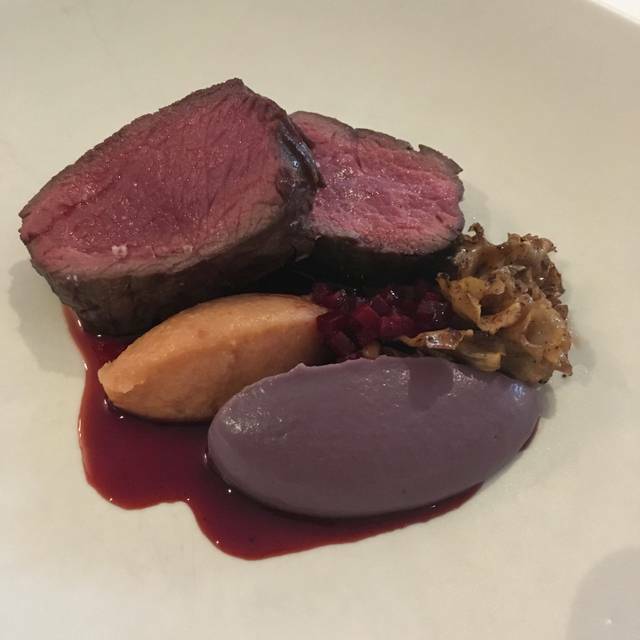 You just know the food will be up to itsOne-star Michelin standard by the view of the kitchen where the staff coolly work away with quiet purpose. One plea though- bring back the tuna because I'll be back. Exceptional food and service. Wine waiter and waiting staff were incredibly knowledgeable and showed a real passion for the food and service. Ambiance was lovely, slightly too dark for my taste but I am in the minority with this opinion I concede. Fairly priced for the incredible standard of food and hors d’oeuvres. Exceptional and truly worthy of their star. Amazing ambience, service was impeccable and likewise, the food. An excellent meal, the restaurant is a comfortable space. The staff were always available to help without being invasive (which some restaurants is the case), very knowledgeable and friendly. Excellent food and wine. The service and ambiance are just right; not too formal. Highly recommended. My first time at Trinity as I live in West London but totally worth the journey. 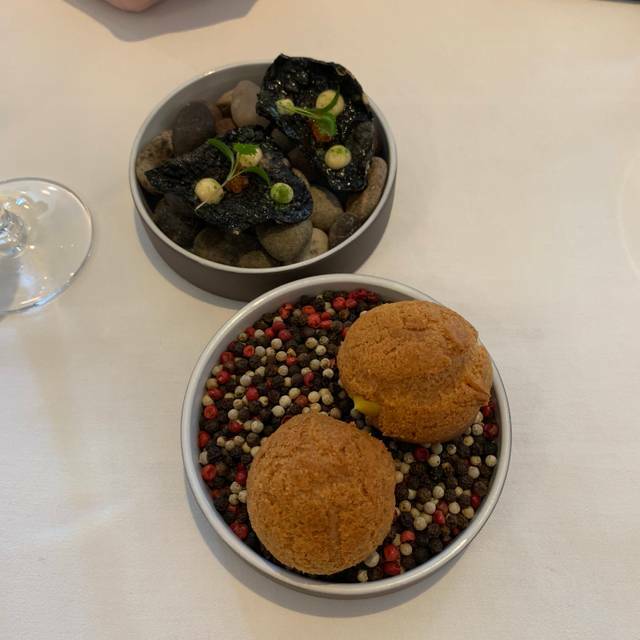 The food, the service were exceptional and all the little extras made it special. Will definitely come again. The team at Trinity were delightful throughout and created a warm welcome. Another predictably delicious meal from this south London jewel. 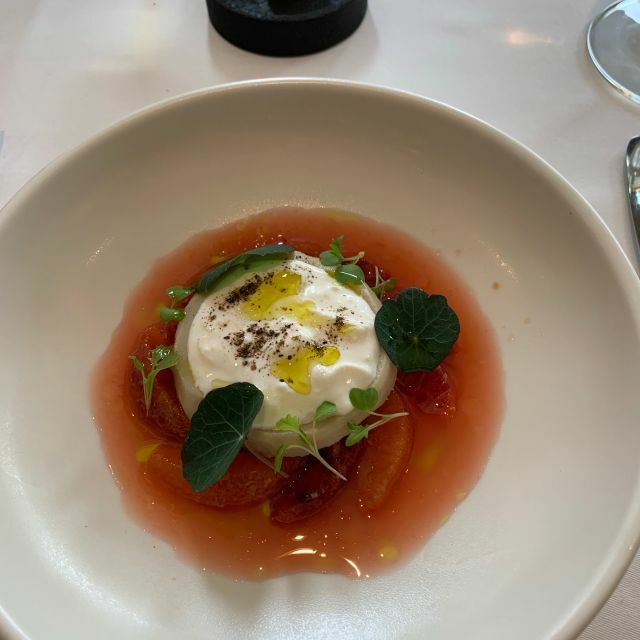 They also excelled themselves with thoughtful attention to some specific dietary requests that didn't faze them at least and made every effort for it not to ruin the experience. One table of overly loud city boy types was a bit of a shame - but not the restaurant's fault. Great place to celebrate my partner's 40th ... decor, atmosphere, service & food all top notch and made for a perfect dinning experience & night. Thank you & will definitely come again! Faultless, outstanding cuisine delivered with supremely friendly and knowledgeable service. Very relaxed environment and great value.